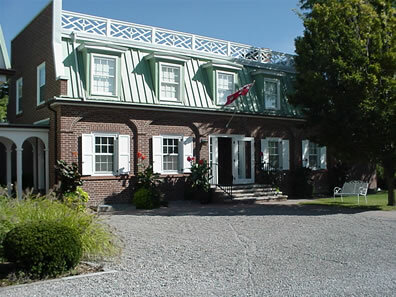 RiverBrink Art Museum, located in the historic village of Queenston, within the town of Niagara-on-the-Lake, is a collecting and exhibiting art museum open to the public since 1983. Situated in a large country home overlooking the Niagara River, the museum features exhibitions from the renowned art collection of Samuel E. Weir, as well as outstanding artworks on loan from Canadian and international collections. The museum grounds and gardens provide a spectacular view of the Niagara River. The museum holds approximately 1,400 works in the permanent collection, including paintings, works on paper, sculpture, and decorative arts. The focus of the collection is historical Canadian art, with additional holdings of European art (particularly British and French) and American art. The collection contains works from some of Canada’s most significant artists: Tom Thomson, Emily Carr, the members of the Group of Seven, Cornelius Krieghoff, Paul Kane, and Marc Aurèle de Foy Suzor-Coté.